The Volkswagen Polo now comes with Bluetooth as standard on all models above the entry-level S trim - a feature which was previously a £245 option. The Touch Phone Kit adds a 2.8-inch colour touchscreen to the Polo’s dashboard which displays a phone book and call lists depending on the make and model of the phone to which it is connected. The Touch Phone Kit also offers voice control of functions including dialling and answering, and can even ‘read’ out text messages and emails that are received. Two telephones can be connected at the same time. 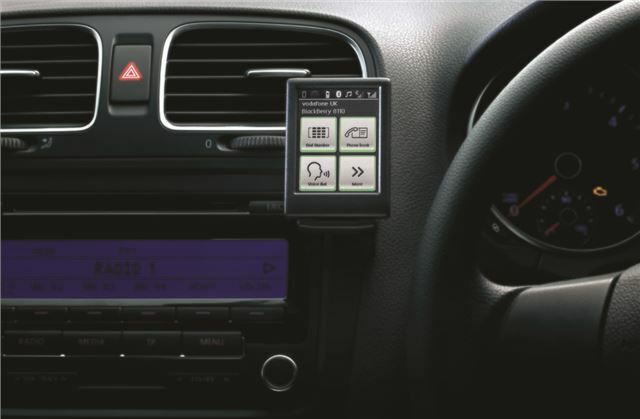 All Polo models also now come with DAB digital radio as standard, giving customers a greater choice of radio stations and all models from Match trim up also come with an MDI multi-device interface, for connecting music devices such as iPods. Bluetooth is also standard on the High Up; all Golf, Golf Estate, Golf Plus, Jetta, Touran, Tiguan and Sharan models above S specification; and all Golf Cabriolet, Scirocco, Eos, Passat, Passat Estate, CC, Touareg and Phaeton models.